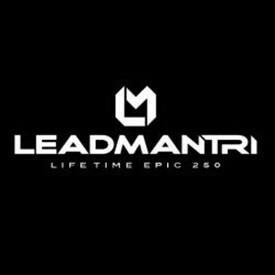 CHANHASSEN, Minn./ BEND, Ore./ TEMPE, Ariz. (Oct. 31, 2013) — Life Time – The Healthy Way of Life Company (NYSE: LTM) today announced the 2014 Leadman Tri Life Time EPIC 125/250 schedule. The category-redefining ultra-distance triathlon will make its return to Tempe, Ariz. for the Leadman Tri Marquee on April 13, 2014 and Bend, Ore. on Saturday, September 20, 2014. Registration opens Nov. 1, 2013. Since its inception in 2011, Leadman Tri provides athletes with an ultra-distance event that places more emphasis on the low-impact cycle and swim stages, and less on the higher-impact run portion. Both professional and age group divisions are offered for all distances, along with a relay category. Set for April 13, the Leadman Tri Marquee 125-kilometer course begins with a 2.5-kilometer swim in Tempe Town Lake. Athletes then embark on a flat and fast 109.5-kilometer bike through the Salt River Pima Maricopa Indian Community and finish with a scenic 13-kilometer trail run through Papago Park. Set for September 20, Leadman Tri Bend 250-kilometer features a course with a 5-kilometer swim in idyllic Lake Cultus, a 223-kilometer bike around dormant volcano Mount Bachelor, and a two-loop 22K running course around Tetherow Golf Course with a dramatic finish in NorthWest Crossing. The Leadman Tri Bend 125-kilometer course includes a 2.5-kilometer swim, 106-kilometer bike ride, and a 12-kilometer run. New this year is the Leadman 85 that will take place at Leadman Tri Bend. The new distance features a 1-kilometer swim, 75-kilometer bike and 8-kilometer run. Athletes who finish the race within the allotted time limit will receive the coveted Leadman Tri Belt Buckle. For more information or to register for the 2014 Leadman Tri visit LeadmanTri.com. Leadman Tri news can also be found by following @LeadmanTri on Twitter or liking the Leadman Tri Facebook page. As The Healthy Way of Life Company, Life Time Fitness (NYSE:LTM) helps organizations, communities and individuals achieve their total health objectives, athletic aspirations and fitness goals by engaging in their areas of interest — or discovering new passions — both inside and outside of Life Time’s distinctive and large sports, professional fitness, family recreation and spa destinations, most of which operate 24 hours a day, seven days a week. The Company’s Healthy Way of Life approach enables customers to achieve this by providing the best programs, people and places of uncompromising quality and value. As of Oct. 31, 2013, the Company operated 106 centers under the LIFE TIME FITNESS® and LIFE TIME ATHLETIC® brands in the United States and Canada. Additional information about Life Time centers, programs and services is available at lifetimefitness.com.